Awnings have been a part of homes for decades, even before people realized the many advantages to having them. They are attractive but carry many benefits no matter the type or style of awning that is chosen. Today's awnings for home use are most commonly the retractable ones, allowing them to be open and closed depending on the day to day needs. They can be installed in many different places around a house. Usually, the porch, patio, and the deck are the first areas considered to shade those open spaces. But today people are choosing to install them over doors, windows, and even balconies. This allows them to take full advantage of the many benefits. One of the most advantageous reasons is that they protect from the rain elements. This protection is not just for the home but for people also. An awning at the front door protects you from rain when you are getting your keys out or from the scorching heat of a hot sun. At the windows, they stop or eliminate the amount of rain from coming in an open window that has forgotten to be closed. In protecting your home, wherever the awning is installed there is less likely a chance of rotting and the show of wear and tear. This protection extends to saving you money. It will block the sun's rays from coming into the house in those areas. This reduces the heat inside a home during the hot days of summer, saving you money on cooling. In the winter it can help block the winds and cold from entering, keeping the cost of heating down and to a minimum. They can add a certain charm and appeal to a home. Especially when a style is chosen that enhances the look of the house; it creates an appealing visual effect to the exterior. This added curb appeal will be helpful if you decide to sell your home, making the outside look desirable. When choosing to install awnings, what is on the other side of the window may not seem that important. But when the harsh rays of the sun beat down on rugs, sofas, draperies, and even art, the fading is noticeable after a while. An awning can block out those rays, preventing fading from the sun. This is another way to save money, by not having to replace furnishings before you are ready to. Installing awning for home use is growing in popularity as people realize the many benefits of doing so. Not only do they provide an attractive exterior look, they protect what is inside also. And, with the money saved on heating, cooling, and furnishing damage from the sun, they pay for themselves. Why Use Awnings for Home? The object of an awning is to prevent direct daylight from entering your home, thus, saving on your power bill. You'll be able to conjointly save on your power bill after you use awnings within the winter time. In summer, they stop daylight and warmth from coming into your house however within the winter time they permit light-weight and warmth into your home. Again saving on your power bill as a result of the heat up your house within the winter and keep your house cooler in the summer. How's that for efficient? Window awnings for a home will be made from numerous materials like cotton, canvas, iron, aluminum, and wood. The fabric of the real canopy is typically cotton or polyester, however, the lot of permanent awnings will be made from canvas, iron, aluminum, wood, steel, and alternative material, plus, some that may be clear. With the worth of everything growing of late it's nearly a necessity to avoid wasting the maximum amount as you'll be able to, where you'll be able to exploitation awnings for your home makes your heater or air conditioning works less thus you consume less energy conserving energy isn't only good for the setting however it's nice for the budget yet. Awnings also are more cost-effective than putting in an alternative energy system. Solar can lower your power bill. However, the value of putting in is usually nearly the maximum amount as your automotive prices. The simpler method is to put in awnings on all window, doors, and typically walls. If you've got a wall that receives a blast from the sun all day long, it'll heat up that a part of your house putting in an awning over the wall can facilitate keep that a part of your house cooler. Even if you did not wish to avoid wasting on your power bill, you'd be able to still install awnings in an exceedingly home. They will even be used as an ornamental piece to reinforce the design of your home. You get the additional benefit of an awning keeping your house cooler. They conjointly look good over a deck, patio, or any exterior wall of your home. Window awnings for a home will be permanent, or they will be retractile. If you reside in a section that contains a winter climate, awnings will facilitate there too. 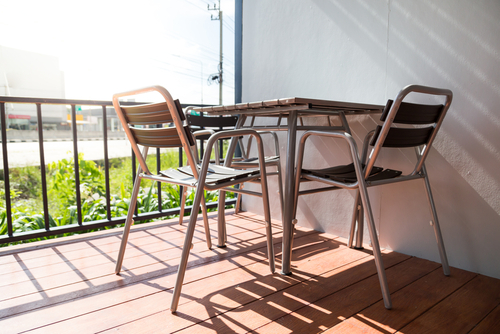 Simply open the awning within the winter, and you will get all the light and warmth from the sun. Awnings for homes will save on your heating and cooling bills, typically whether or not you wish them to or not. They conjointly add to the worth of your home by enhancing your home's beauty. 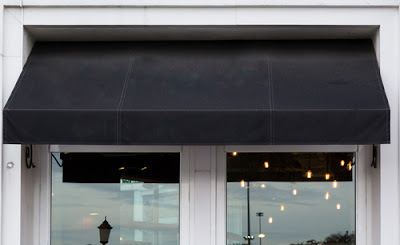 You can enhance your business appearance with a custom canvas shop awning. 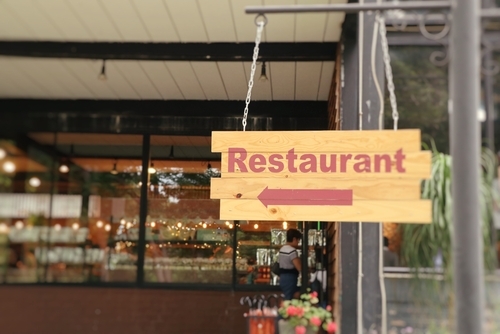 Whether you own a shop, a restaurant, a hotel, or any other enterprise, a custom-made awning will give your premises a complete face-lift. Also, it will provide you with shelter from the elements and make your business instantly identifiable. To get the job professionally done, contact a reputable canvas awning company. When an awning is a custom made, you will have the freedom to select the shape and colors that you want. You could also have your business slogan or logo placed on the awning. This will create a look of professionalism and generate a good business image. If your employees have to work near a door or window, the awning will give them welcome shade in hot weather. This will save your air conditioner from working overtime and reduce the costs of your utility bill. Apart from the pleasant aesthetics of awnings, they are functional and practical. You will have to seriously search for a material that can hold its own against bad weather as well as canvas. It is incredibly durable and is, therefore, the ultimate choice for climatic conditions that are extreme. Canvas will hold its own against wind, hot sun, rain or snow. Because it is so durable, it will last for years. Retractable awnings are very popular because they can be opened and closed. This is very useful on cold, rainy days when you want more light. You can buy an awning that closes and opens manually or one that has a motor that can be operated with a remote control. Obviously, the motorized version is more expensive. The main thing to consider in mind when buying an awning is to make sure you buy a good quality one. If you purchase a retractable awning that is going to be exposed to the wind and the sun, it would be advisable to choose one that is mildew and scratch resistant. The canvas awning company will give you advice on how to clean and maintain it.